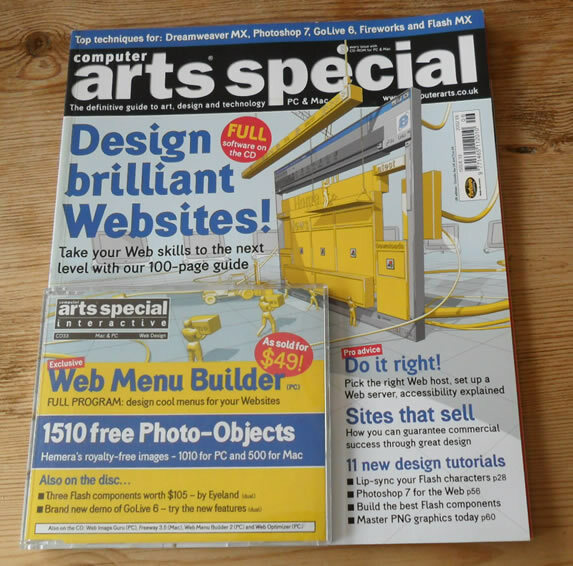 Issue 33 2002 edition of Computer Arts Special Magazine. 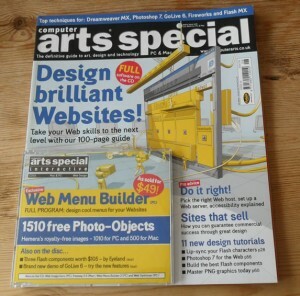 Each issue has a variety of digital art features, advice, tips, tutorials, product reviews and interviews. Cover feature this issue is on web design skills. Also included is a free CD with all the tutorial files, free and demo software and various other free items.